I have no idea why I'm collecting this stuff… It is just fun to have these little visions of the past. 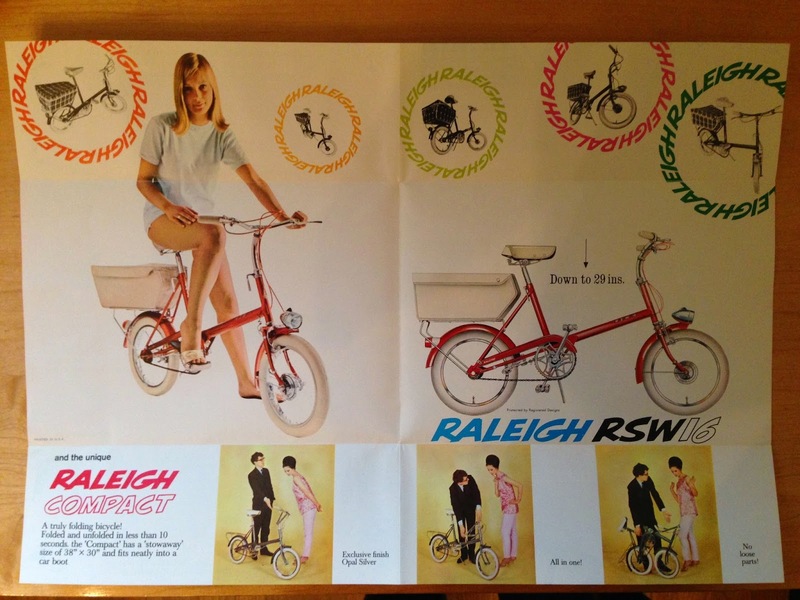 This time, I've come across a vintage fold-out brochure advertisement for the Raleigh RSW and RSW Compact. The paper is in excellent shape, no yellowing or foxing and the colors are vibrant. As a piece of history, this is in as great of shape as one could find. The brochure measures 5.5" x 8" in it's fully folded state, opens out in it's first unfold to 5.5" x 16" and with the ultimate fold out to 11" x 16"
Here is the front of the brochure. 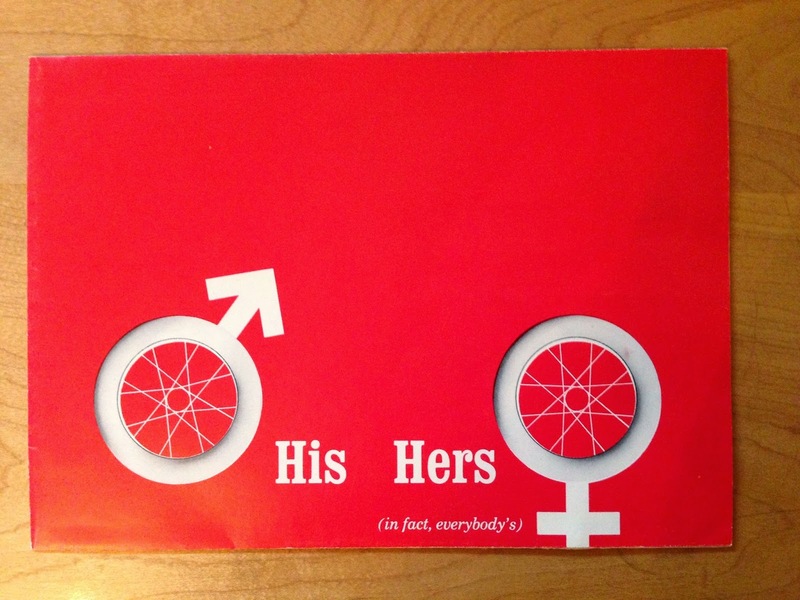 Obviously it would be to ANY bicycle manufacturer to eliminate the need to create mens AND women's bicycles… The mixte frame was one effort at this. 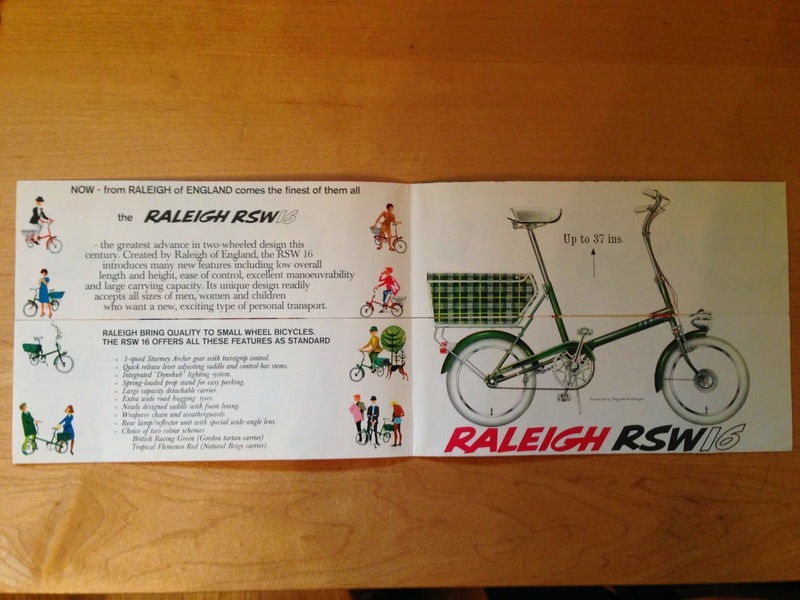 Raleigh was trying to sway the market too. Here is the back side in its folded state. 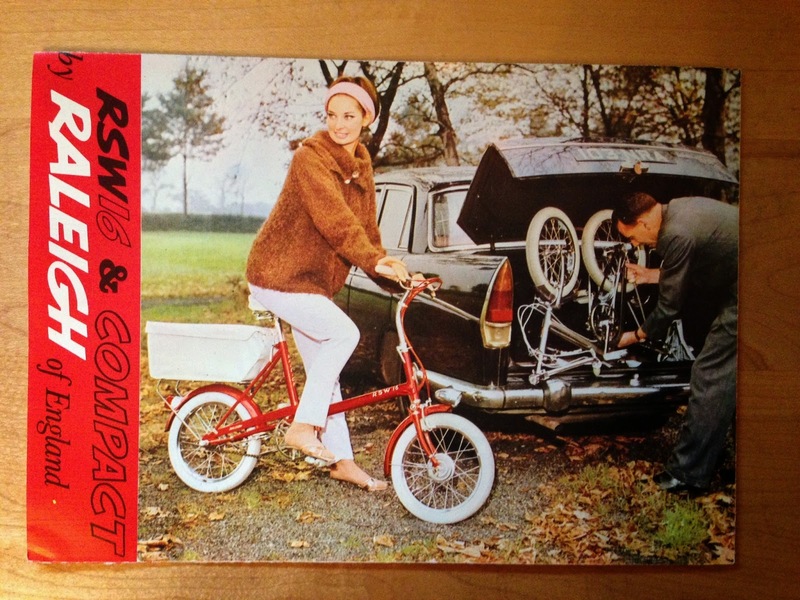 The gent attempting to get a RSW Compact into the boot. I wonder how he's going to fit that nice non-folding Flamenco Red one in there?? Here we have a winsome blonde in 1960's appropriate short shorts letting us know that all the beautiful people should own one… On the bottom, a gent demonstrates the fold to an amazed beehived onlooker… "No loose parts!"